Below is a statement by CENI – Kurdish Women’s Office for Peace in support of the demonstrators who took to the streets in Amed on 14 July. A delegation of 12 women from Germany and the UK were visiting the Kurdish regions of Turkey at the time and witnessed the events. You can also read their response to the unrest below. 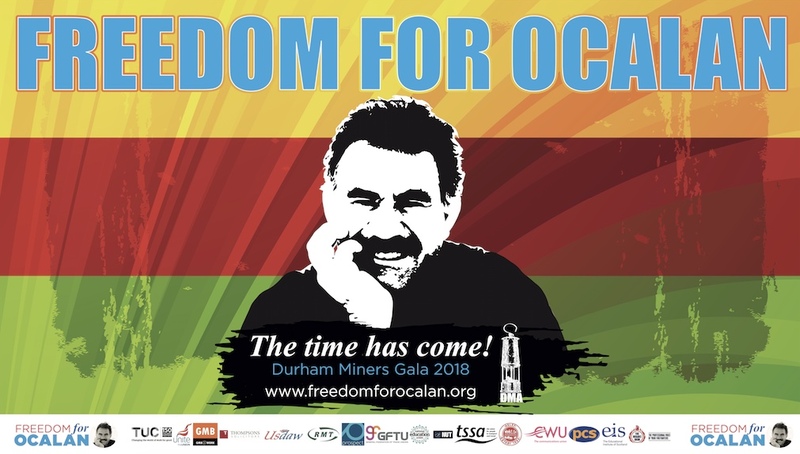 For the 14th July, The Democratic Society Congress (DTK) and the Peace and Democracy Party (BDP) called for a demonstration in Amed (Diyarbakir), with the demand “Freedom for Abdullah Ocalan”. Although the governor had forbidden the demonstration, the organisers – supported by trade unions, women’s organisations, progressive Turkish organisations, and NGOs – persisted with using the demonstration to signal a solution to the Kurdish question, and to not allow the right of assembly and freedom of expression to be forbidden. A female delegation, initiated by the Kurdish Women’s Office (CENI) and situated in North Kurdistan since 6th July, also took part in yesterday’s demonstration in Amed. The delegation reported that the situation in Amed is an emergency situation (see the eye witness reports in the attachment). The whole city was sealed off in the run-up to the demonstration – police forces, water guns and armour-plated vehicles from 11 other cities were re-deployed in Amed. From the early hours, crowds of people, who were gathered in parks and various squares, were attacked with truncheons, gas grenades, tanks, and were targeted with pepper- and tear-gas from water guns and helicopters. The police also used firearms at some points. Members of parliament, mayors, international observers and members of the press were stopped by water guns and then attacked by police. The MP, Pervin Buldan, suffered a serious leg injury from a tear-gas grenade and had to be taken to hospital. Also the mayor of Amed, Osman Baydemir, as well as the MPs Ayla Akat Ata and Mukiye Birtane had to be treated for injuries in hospital. Dozens were arrested. Amongst those arrested were also journalists from the DIHA news agency, Mahsum Saglik and Mehmet Begum. Furthermore, eye witnesses report that children were also amongst those arrested, and were mistreated, spending hours in handcuffs. Despite the intense repression, representatives of the BDP and participants in the demonstration managed to release a press statement, in which they declared that they would not bend to the police violence and fascist government policy. 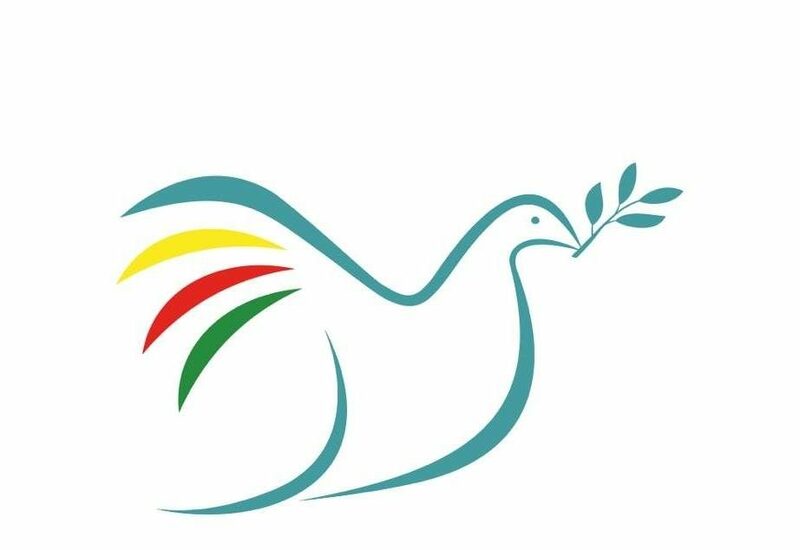 Ceni – Kurdish Women’s Office for Peace – absolutely condemns the violations of human rights against the participants in the demonstration, journalists and observers, as well as the attacks on fundamental democratic rights by the AKP government. A political resolution to the Kurdish question! Members of the female delegation initiated by Ceni report that the square in front of the hotel was surrounded by a water gun, two tanks and five or six armour plated military vehicles and police buses by midday. From the BDP building, which was about 3 kilometres from the planned demonstration area, some of the group, along with MPs from the pro-Kurdish BDP, tried to get to the demonstration. They reported that police and water guns were placed around the BDP building. The bus of MPs, eventually destined for the demonstration, was not allowed past these blocks. The MPs decided to go by foot to the train station to get to the demonstration. Two members of the delegation followed in cars along with a Swedish member of the European Parliament and the artists Ferhat Tunc and Suavi, and eventually reached the Ofis district next to the train station. They reported that there was already an “excess of security vehicles” and “water guns and tanks patrolled through the main streets”. The demonstration area was almost hermetically sealed and there were many attacks. The delegation reported, “a man with crutches was shot at continually for about a minute. The people in the area tried to resort to the mosque situated in the immediate vicinity. 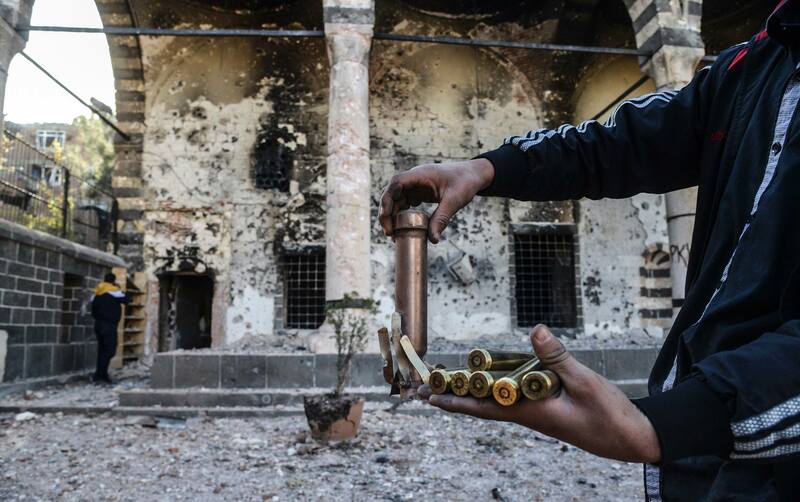 The police shot gas and water guns into the building of the mosque. (…) Police in uniform and in plain clothes, in all sizes and styles, piled incessantly into the Sumer Park in front of us. (…) Gas and water was fired heavily into the park. Even when passers-by where running around the park. As police threw stones, one policeman came with an oversized Turkish flag, which he unravelled and held in front of the gates to the park”. A policeman in plain clothes eventually took the flag, at which point his colleagues, and other stone-throwing policemen, applauded. The MPs, who were eventually able to breach the blocks, decided to assemble in the neighbouring Sumer Park. There they retired for deliberation and they later made known in a press release that they had spent the night in the park, and that at 11 o’clock the next day they will hold a press conference at the demonstration area.